Vietnam’s vaunted doi moi, the economic reforms that ended Vietnam’s disastrous attempt to build a Soviet-style economy in the years after their ‘American war,’ meant for nearly all the nation’s farmers the end of collective farms. With few exceptions, the village-sized collectives were broken up, and each farm family was given a 20-year lease. Freed to work individual plots and profit from their own labor, they powered extraordinary growth in agricultural productivity. In the 15 years after 1993, agricultural production more than doubled. By 2008, Vietnam had become a leading exporter of rice, coffee, cashews, pepper and farm-raised fish and shrimp, even while surplus manpower drifted away from rural villages to work in the booming new industrial zones. Next year, however, the initial 20-year leases of farmland will expire. 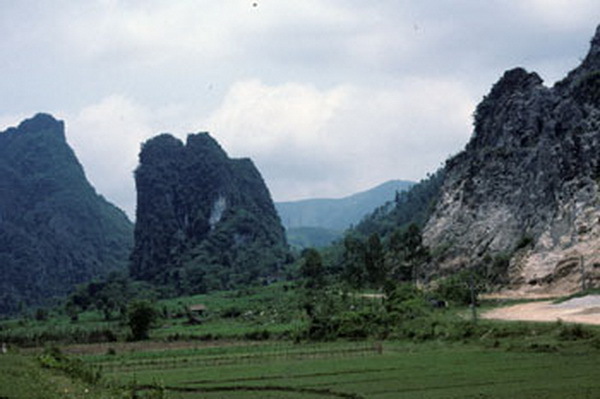 In Vietnam there seems to be consensus that the land law must be revised again. The question is how. Literally interpreted, provisions in force since 1993 permit the state to take back farms without any compensation at the end of the lease period. It seems, say expert commentators, that farmers’ belief that they were secure in their right to continue to work their land was just that – a belief. It has no juridical foundation in Vietnamese law. Recent scholarship has confirmed the general perception that the vagueness of the current land law, the non-transparency of administrative procedures and the quick profits that can be made by insiders when farmland is expropriated and converted to other uses are a principle driver of official corruption. Years of effort to codify procedures seem simply to have multiplied opportunities to extort under the table payments. Ninety percent of the civil complaints brought to the courts concern land disputes. Even were the process not shot through by corruption, the reckless and seemingly relentless conversion of prime agricultural land into industrial parks, housing estates, roads and golf courses would be a matter of growing concern. Vietnam’s Agriculture Ministry calculates that in 2001-2006, some 376,000 hectares of rice land were expropriated, displacing over a million farmers. Amendments to the land law in 2003 that spurred ‘development’ by making it easier to ‘liberate’ large tracts appear to have accelerated the pace of displacement. Of the 31,000 land-related complaints filed in 2007, some 70 percent alleged inadequate compensation for expropriated land. There’s no solid evidence yet that the politburo has decided to amend Vietnam’s constitution, which declares that “the land belongs to all of the people, and the state manages it on their behalf.” However, the shootout early in January between a farm family and police sent to repossess their 20 hectare fish farm has framed their problem in the starkest way. Now it seems that only a radical move by party and government that renders farmers secure in their possession of the land they work will satisfy Vietnamese public opinion. Only an unequivocal right to own the land they work, to transfer it, add to it or improve it as they choose is likely to quiet the farmers’ fears. In short, the Party and government are pressed to codify rural tradition. There’s much to be said for such an approach, says John Gillespie, an Australian who recently studied how Vietnam’s local courts manage disputes over property rights. Judges routinely steer litigants toward arbitration, and arbitrators have a strong tendency to propose a settlement based on ‘common sense and community sentiment’ than to rely on the letter of the law. They do so, Gillespie found, because conciliation is is far more likely than confrontation to bring a durable conclusion to land disputes. That was the solution attempted when Dang Van Vuon and other Tien Lang farmers appealed a local court’s order to vacate the fish farms they’d worked long and hard to establish. The farmers and a Tien Lang district representative agreed on the face-saving solution the arbitrator proposed. However, the district chairman and the chairman of Vuon’s home village, a pair of brothers, refused the deal. Literally thousands of articles on the shootout at Tien Lang have appeared in the Vietnamese press, and thousands more have been posted on Vietnam’s lively blogosphere. So far, however, the motives of the local officials who demanded the return of Doan Van Vuon’s leased swampland and who ultimately decided to repossess Vuon’s farm by force remain uncertain. The local officials told an investigator from the Fatherland Front that they intended to save the government the trouble of paying a large sum for the property if rumors were confirmed that a new airport would be constructed there along the shoreline. Villagers told the same investigator that they believe the officials intended to profit by the resale of the fish farm, and indeed already had buyers already lined up. It’s a measure of the public’s inclination to suspect ulterior motives when the state expropriates property in Vietnam that no commentator has suggested that the officials were simply trying to do what they believed the land law required them to do.